“Chocoholic” is a big word, but let’s just say that chocolate and I have a special relationship. It is my favorite dessert by far: I’ll take a great piece of high quality dark chocolate over a cookie or cake any day of the week, and twice on Sunday. 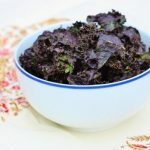 It’s often my favorite snack (a little sugar, a little caffeine, and a boost of antioxidants pair very nicely with mid-afternoon energy slumps). It is my favorite flavoring for smoothies and puddings (check out my chocomole and my chocolate & zucchini smoothie). And, when I’m tethered to my desk for a long night of studying, hot almond milk cocoa is my favorite thing to sip. 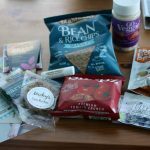 Since I started Choosing Raw, I’ve reviewed a few raw chocolate brands for the blog. First was Fine and Raw, which I really loved. 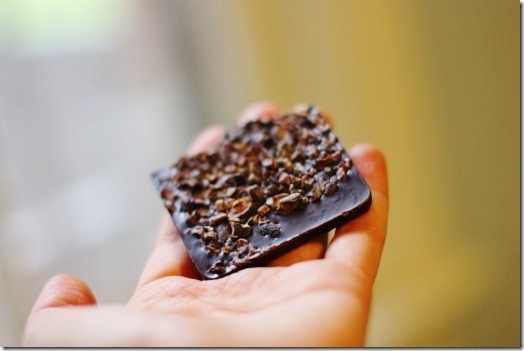 Then was Gnosis, a raw chocolate company that is founded and run by my lovely friend Vanessa Barg. I’ve also mentioned a number of my favorite chocolate bars that aren’t raw: Green & Black (read labels carefully, as not all are vegan), Endangered Species Chocolate, Rapunzel, and Salazon (which is especially yummy). 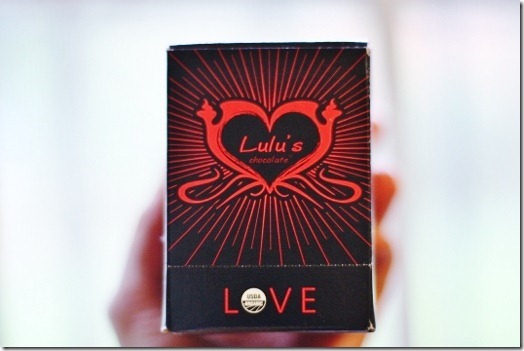 Now I’ll tell you about my newest chocolate obsession, Lulu’s Raw Chocolate. Organic, raw, and vegan, Lulu’s chocolate is not only heavenly tasting, but also sourced through fair trade practices from Pacari farms in Ecuador, and packaged using compostable materials. 1% of the company’s annual profits are donated to charity. 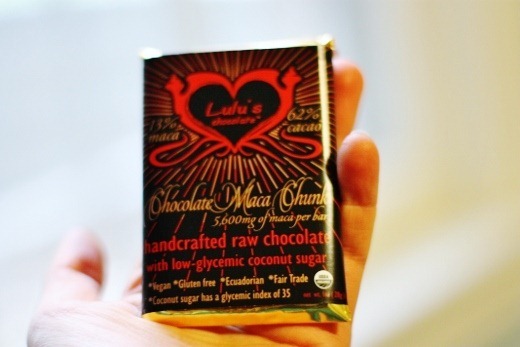 Today, my friends over atVegan Cuts are offering a specially priced pack of Lulu’s chocolate bars, which is precisely the pack I got to sample (thanks, Jill!!). If you haven’t checked out Vegan Cuts yet, you should: it’s essentially a Groupon/LivingSocial-type site for vegan deals and steals, and it’s fantastic! Today’s deal is only one example of the kinds of fabulous discounts you can make away with when you shop on the site. And what a delicious example it is. The only flavors I didn’t really love were the maca ones. I have sort of a complicated relationship with maca—I’ve warmed up to it, but only in small doses and in certain recipes. 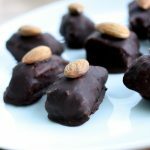 These bars are a great value in that they offer you a LOT of maca along with a LOT of delicious cacao, but a LOT was ultimately too much maca for me. Even so, I crumbled some bits of the bar into granola and cereals and over smoothies, and that worked well. More importantly, I was so head-over-heels for the other Lulu’s falvors that I didn’t much care about the fact that a few of them were maca-heavy. 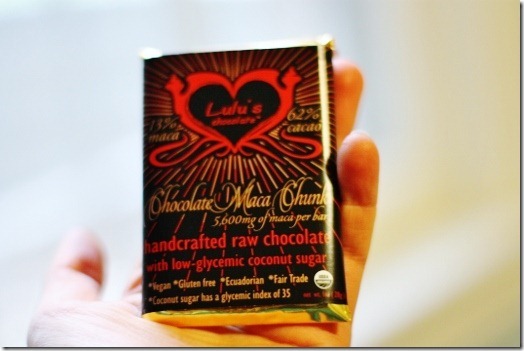 Note that all Lulu’s bars feature coconut sugar, which is lower on the glycemic index than some other sweeteners. And all are 100% gluten free. Would I purchase a pack of Lulu’s chocolate on my own? I absolutely would. This is some of the best raw chocolate I’ve tried. Interestingly, it’s also the raw chocolate that tastes most (to me) like regular chocolate. Which means it’s a good “intro,” if you will, into raw chocolate. With the holidays upon us, I can’t recommend this brand highly enough for some vegan edible giving. Head on over to Vegan Cuts and check the deal out! With that, it’s back to work I go. Funnily, the link to my Gnosis post, above, made me nostalgic for my old desk lunches at the office; I ate at home today, but there was a “lemons out of lemonade” charm to the effort I used to put into my office meals. This looks wonderful! I adore raw chocolate, and though we have a few great brands over here in the UK, it’s always good to try a variety. I am very excited that I am coming over to the US early next year, and will have at least 2 days in NYC. Hi Sarah! Which UK brands would you recommend? I recently found some bars by RAWR on sale in Planet Organic including one with chilli and one with vanilla and goji berries. Both were very nice but I felt like they were missing something. 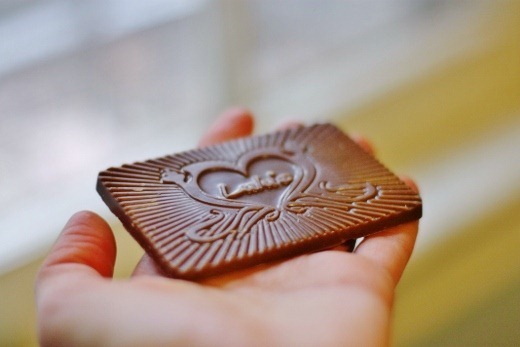 I’m still on the hunt for my perfect vegan chocolate…any tips? Best brand hands down is Concious. So utterly creamy and delicious. I wish they were a little cheaper, but if they were they’d be less of a treat! Booja Booja make raw truffles to die for. They are utter heaven and should be on any vegan’s Santa list! Hello Kris – yep I agree with you. They do make some delicious flavours 🙂 Haven’t tried to choc coated mulberries though…going to check them out! This chocolate looks (and sounds!) incredible. And I hadn’t heard of Vegan Cuts, so I will definitely be checking that out. oh my. i adore chocolate and actually prefer the raw chocolate! there’s just such a richness that you get with the texture. i’m near drooling…i’m on the lookout for lulu’s now! I forgot about Lulu’s. 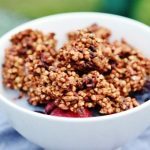 I tried it a couple years back and really liked the crunchiness of the coconut sugar and even the maltiness of the maca powder. I don’t think they sell it around here, though. If I want raw chocolate that’s easily available, I usually stick with Fearless since they’re a cheap and tasty brand. Looks great, especially the Aztec Crunch. Can’t wait to check them out! Thanks. They aren’t raw, but I also love Theo’s chocolate, some of which are vegan and all is fair trade and they’re made just a few miles from where I live in Seattle. They have chocolate tours at their factory and you get to sample all kinds of delightful flavors! I saw this deal today and wasn’t sure if I could justify spending the money. Looks like you’ve done the justification for me! I absolutely love dark chocolate so this deal was difficult to pass up anyway. And I wanted to try sea salt chocolate but Lindt is not vegan! Oh boy, my decision keeps getting easier. I totally agree on dark chocolate, most of my favorite raw desserts involve chocolate. Thanks for the review, think I’ll check out the deal because I need it this week! Just ordered some! It seems like a wonderful company. I’ve only tried the one with chia/hemp/flax, and it’s very smooth, with a nice bit of crunch from the seeds. Awesome tip G! I will certainly be looking into the deals. I used to HATE the taste of maca, but now I really love it! Perhaps it is just in stride with what the body is wanting and needing at any particular moment. Thanks for the tip about Vegan Cuts… I hadn’t heard of it before! Never seen those bars. well, I will need to change that:) I referred your blog to a client of mine that has health issues and is slowly stepping into a plant based diet. Thanks for all your info over the years! the smoked almond sounds amazing. i love salty and nutty in chocolate. not a fan of maca flavor either. ick. My coworkers are constantly bringing in conventional cookies, doughnuts, cupcakes and the like and I have found that having a bar of dark, vegan chocolate in my desk makes it MUCH easier to stay true to my vegan values at work. It’s such a luscious treat! Thanks for the tip on vegan cuts, just subscribed and am happily awaiting my lulu’s. 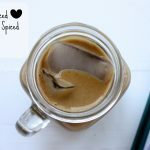 How do you feel about coconut sugar as a sweetener? Is it really raw is it “raw” like agave? I’m not sure if it’s really raw. But I do think it’s comparably glycemically. So, it’s just like agave: not “health food,” but a better alternative to sugar. I love the review, I was on the fence about buying this chocolate and now I am. I tried this chocolate. Actually, I’ve tried all of the flavors. Let me tell you; this chocolate is ABSOLUTELY FANTASTIC. I would DEFINITELY recommend any of the readers of this comment try at LEAST one of them. My favorite, funny enough, is the Chocolate Maca Chunk. No, I am not being payed by Lulu’s; I simply adore the decadence and deliciousness of this chocolate. Plus, it won’t break a calorie bank! I tried the maca flavor the other day and felt the same way. I’m used to consuming maca in small amounts and find that I am very sensitive to it. I ate about 3/4 of the bar before noticing how much maca was in it and then put it down, thinking it was going to be an…interesting…afternoon. I ended up feeling fine, but I don’t think I will buy this flavor again. Too much maca flavor and not enough chocolate. The Smoked Almond and Sea Salt flavor, on the other hand, is amazing. Is it weird that overdoing it on maca makes me feel anxious? I swear it gives me jitters, the same way that coffee does. A little bit makes me feel great. Curious what your thoughts are and hoping you could discuss maca (if you haven’t already) in a future post?